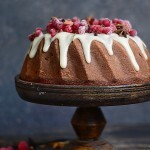 In order for cakes to be alluring, for the cream to be finger-licking good, and for the sponge to be just the right volume, one must use a margarine of proven quality. Back in 1956, Zvijezda’s experts produced their first margarine, which then was, and still remains, an irreplaceable ingredient for both the cooking of meals and baking of various deserts. 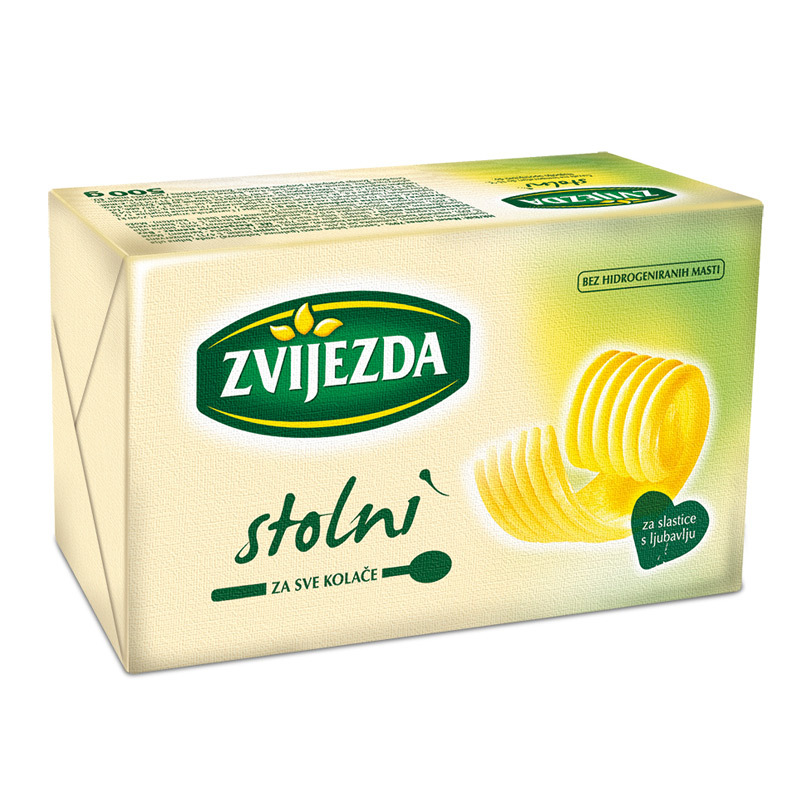 Zvijezda stolni is excellent for preparing savory dishes, sauces, stocks, dressings or stuffing. 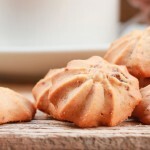 It complements every dish and makes it tastier, emphasizing its basic flavors. 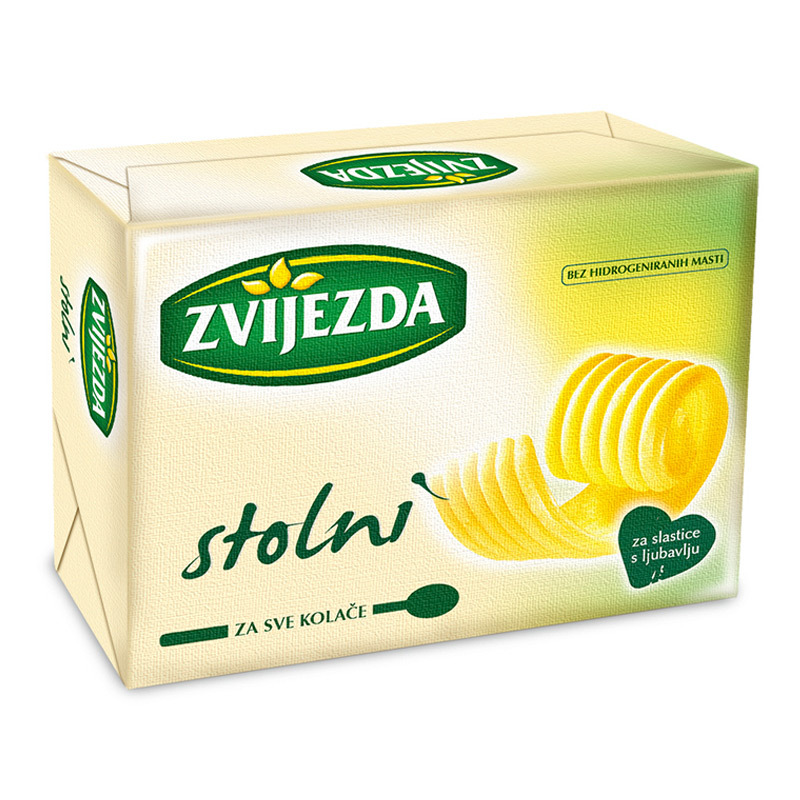 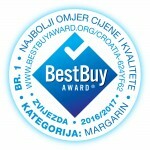 Zvijezda stolni proudly carries the “Croatian quality” mark, an award given to Croatian products of above-average quality. 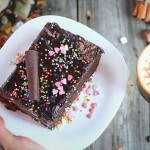 When preparing a soft and succulent cake it’s better to use margarine as opposed to butter because, due to its creaminess, margarine blends better with other ingredients.